I, for one, really appreciate classic items. I appreciate the old world craftsmanship. Although I'm just starting out in viewing the skies and have a modest investment in equipment for a beginner I am looking to the future of finding the best in optics. I've lurked around CN for months and noticed that Unitron seems to be an iconic classic telescope. And checking the online auction site the prices for these scopes can reach into the 10 kilobuck range which puts me far, far from the bidding. So here is my question. For question sake assuming a top of the line classic telescope with 50's or 60's technology and materials. How would it compare with a modern telescope of equal aperture, lens design and focal length? It would seem to me that the state of the art modern telescope with CNC controlled parts, modern glass and superior coatings would excel in viewing for the observer at a fraction of the price. Which of the two offerings will give the best, clearest and sharpest view? Are the classics for the collectors and museums? I would appreciate your comments and discussion on the subject. Classic reflector telescopes may need to have their mirrors recoated. They almost always come with Equatorial mounts, which some folks dislike because (when they are polar aligned) they force your to be a "contortionist" to use them. Forget about computerized "Go-To" ease of use; you have to be proficient at "star-hopping". Nevertheless, there is some charm in old, classic telescopes (just like there is charm in old automobiles) -- people appreciate them. Are the classics for the collectors and museums? the camera's are new but last I heard it's still the same glass. Edited by scngc7317, 02 April 2018 - 07:22 PM. I owned a couple of 10" Cave telescopes back in the 80s when I lived in So. CA. Never have had views like I had through those old Newtonians, particularly the 10", F/7 monster on an EQ mount. Saturn and Jupiter were breathtaking. Mirrors were handmade, and mechanics were bulky but did the job. I monitored the debris of Comet Shoemaker-Levy in Jupiter's atmosphere with that scope. Maybe my eyes were just better then (???) You needed a pet gorilla to help set those things up when going to dark sky areas. Moved from the Beginners' Forum to the Classics Forum because the Classics Forum denizens are pretty knowledgeable about both eras of telescopes. A link was left in Beginners'. So, you're going to have to pick a side. A top-of-the-line modern refractor, for example, made to the same focal length, aperture and lens design as a top-of-the-line classic OTA would probably perform as well as the top-of-the-line classic OTA. The reverse would not be true. In the case of refractors, the major advantage of modern materials and designs is not necessarily raw performance, it's that modern technology can deliver really good performance in packaging that wasn't possible in the past. The cost difference has more to do with the country of origin and the manufacturing technology than the technology of the OTA, itself. Of course, then there's the difference in mounts and eyepieces. As well as "OTA acessories" such as the focuser. Aside from lower end plastic-based cost-leaders, modern mechanicals can be pretty nice and the optics are only part of the equation. oops! Sorry about that, I didn't know a topic along these lines has already been discussed. Hello and to Cloudy Nights.. There is not need to apologize. While this forum has discussed this topic before, you are a beginner asking a good beginners question and you and other beginners deserve a reasonable answer. Bear in mind that most use modern equipment. This forum is for those who still enjoy using the classics. I am one who has a certain enjoyment of the classics but I do most of my observing with modern telescopes. - Classic's are not only for collectors and museums. The classic scopes are still viable observing instruments and can provide very good views. - Times have changed. Most every aspect of the telescope has changed as the world has changed. I think there is little doubt that the highest quality telescopes of today are better, both mechanically and optically than the best scopes of the classic era. An Astro-Physics refractor or a Takahashi, they are much better corrected for chromatic aberration, the lenses are tested using interferometry. The focusers of today are much better than those of the classic era. 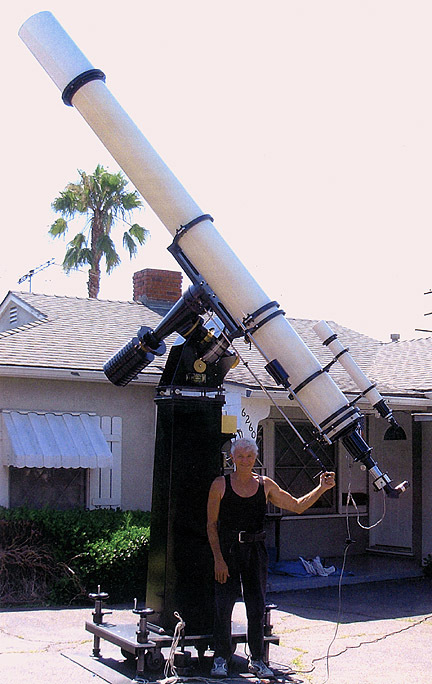 Mounts have changed dramatically, the computerized control and precise gearing have revolutionized amateur astronomy. Eyepieces have been revolutionized in a number of ways. 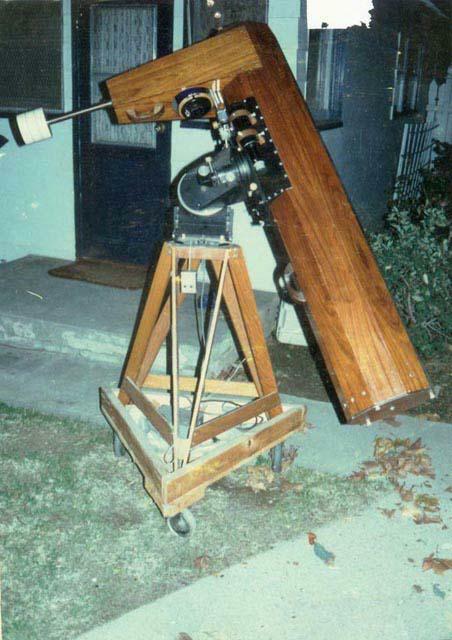 In terms of portability, the Dobsonian made larger aperture Newtonians possible and practical. 40 years ago, a 12.5 inch was an observatory scope, today, it's something beginners think about. Narrow band filters have revolutionized deep space observation of nebulae. In terms of equipment, now is a golden age. And yet.. the heart of visual amateur astronomy is looking through a telescope with an eyepiece and that experience is possible with scopes new and old. If you're really interested, and live near Denver, we can probably arrange for you to compare a couple of examples. Forgive my manners. Welcome to Cloudy Nights. The folks here will gladly help you with any question you want to ask. Bear in mind some have slanted opinions of equipment, however most will be straight forward with there answers. If you love long focal length refractors the classic scope is for you. If you want highly corrected optics in a small package than the modern APO is for you. The world is a far bigger place than just refractors. SCT's, Mak's, Newtonian's are all main stream players in today's world of amateur astronomy. The Newtonian and the refractor are the most common classic designs but more modern designs like the SCT are becoming part of the classic world and the small Mak in the form of the Questar has been around essentially unchanged for more than 50 years. I am not so sure this is about one what loves, in my mind, Desert Drifter's question is about telescopes as tools for observing the night sky.. The world is a far bigger place than just refractors. Depends on how much of the Abell catalog you want to observe, for example. There comes a point where the waters get too deep for refractors. You need a bigger boat. Nah, you just need a bigger refractor. I have been an Amateur Astronomer for almost a half of a century. Needless to say, I have seen, witnessed and experienced a lot of change. The progression of Technology, new ideas and dare I say, shifts in Paradigms. Having read many, many books. Researched old issues of Sky and Telescope and spoken to hundreds of Amateurs. I learned a lot! Lets compare equipment from decades ago to state-of-the-art, cutting edge current gear available now. To keep things from being too "alien" and "strange", I will only go back as far as the 1950's. Back then, and right up until the late 1970's, if you were on a budget as many amateurs were, you purchased a mirror grinding kit, Sam Brown's "All About Telescopes" and built your own scope. Bought inexpensive eyepieces from A. Jaeger's or from Edmund Scientific Co. And chances were, you'd actually have something that produced decent images. If you were fortunate to have parents with a larger than normal "disposable" income, and if you could talk them into it, then companies with names like Unitron, Starliner, Cave Astrola and maybe, just maybe Questar would be within your economic reach. While importance was placed on quality long focal length Achromatic lenses, full thickness primary mirrors and German Equatorial Mounts, far less emphasis was placed on vital parts such as focusers, star diagonals, anti-reflective or enhanced reflective coatings and even eyepieces. Believe it or not, back then, these items were considered not that terribly important! Then along comes a Vedantic monk from San Fransico advocating bizarre ideas like "thin" large aperture primary mirrors, spiral wound waxed cardboard tubes and simple altazimuth wooden mounts. Advancements in manufacturing and mass-production techniques made Schmidt Cassegrain telescopes within reach of many amateur astronomers. And then, some guy named Al Nagler, in the early 1980's, had the audacity to charge (gasp) $200 plus dollars for something called a wide-field eyepiece when a perfectly acceptable kellner could be had for around 20 or 30 dollars. A little more would get you an Orthoscopic. Who the hell did he think he was?!? It is far more cost (and time) effective to buy a mirror than to buy the equipment and parts to make your own. A half-decent quality complete telescope can be purchased for under $500 something inconceivable in equivalent dollar value 30, 40 years ago. What about Astrophotography? When CCD cameras first appeared, they were insanely expensive and for professional observatory telescopes only. Amateurs, if they were lucky, were using cold cameras or gas hypered film treated in specialized vacuum cylinders from a company called Lumicon. Then they would subject themselves to guiding the telescope during the exposure by keeping a star centered in the cross-hairs of a guiding scope using an expensive dual-axis drive corrector, mounted onto the main scope for anywhere from 20 minutes to sometimes up to one and-a-half hours, depending on the target and the emulsion being used. Then you took your chances getting your film developed along with wedding and baby pictures at the local one hour film developing lab. Or, you built your own dark room and learned how to develop your own film. In the last 50 years, glass technology, coating technology, electronics and computer technology has come a long, long way. So, long story short...is any one thing responsible for all the toys, gizmos and gadgets that we have all come to know and love? Yes...yes there is.."Imaginative Innovation". Please feel free to use that term until my copyright becomes legal...then you'll have to pay me for using it! LOL! Wow! Nice! Unfortunately still not big enough for many objects. That's a very nice scope, but even a 12" refractor won't take you places that a 20" Dob will. I've got 54 years in the hobby, this year, and yes, what a ride it's been! "How would it compare with a modern telescope of equal aperture, lens design and focal length?" That almost never happens. In general, most newer telescopes are of shorter focal length, whereas classics are longer. This makes modern telescopes far more compact and better suited to astrophotography, but also requires far more expensive eyepieces. Lens design, and even the composition of the glass, are also much different. There are many reasons for liking classics. For some (including me! ), thrift is among them. A forty-year-old Orange Tube C8 Schmidt-Cassegrain costs about $400, but performs about as well as a brand-new one costing many times more. If you stay away from the highly collectibles, there is a lot of good glass available cheaply, although steadily lowering prices of improving, modern Chinese glass are eroding that advantage. For some, modern Go-To mounts take the astronomy out of the astronomy. If one likes finding one's own objects with a mount one aligned one's self, some older mounts are a real pleasure, and often a cost savings. Some like to puzzle the history of classics. You will read threads here that derive which versions of which models were made in which years, based on serial numbers and changing features. Some like classics for nostalgia. I like them for resisting the marketer's insistence that we all need to buy new things, now. Many love the hunt, finding that telescope that was always rare, or was once common. Many enjoy fine old mechanicals, or restoring trashed finds to new condition. One topic that is not commonly understood, and so is too often dismissed, is that longer focal lengths reduce the effects of bad seeing. As an article posted on this site explains (I should find the link for you), this is not an issue of depth of field, but a result of the image from a long, skinny light cone moving a smaller lateral distance as the boiling atmosphere moves the light entering the objective. Smaller apertures also help with this, so a classic can be a real joy for astronomers living under the jet stream. A recent thread said that nothing beats a modern APO refractor for portability and ease of use, although nothing costs more, either, and the APO does not replace a light bucket for dim objects. That's a 10" Zeiss owned by Jon Pons - I got to look through it once! Large refractors like that are certainly the reason scopes like my C11 were invented - more aperture in an easy to store/transport package. Scopes like the Zeiss above are impractical for all except the crazies like Pons. They used to drag that huge pier-mounted GOTO of his up to Mt. Pinos - it sure was fun to look through, but I wouldn't have wanted to set it up. It had a weight-driven clock drive that was a wonder itself. My 1981 Tak FC-100 is basically text-book perfect and outclasses my modern SW ED100 Pro in every way. In terms of optical quality it even outperforms my 2017-version Vixen SD81S, although by a much smaller margin. I have had the opportunity to observe through an antique (probably made around 1880-1890) 160 mm f/15 achromatic refractor at a public observatory at a few occasions, and I would consider it to be very capable instrument. So in my own experience well-made classic optics can easily outperform at least some mass produced modern scopes. But can they outperform the best modern scopes? I doubt it... but one needs to consider that very few of the scopes marketed to amateurs today can be regarded as truly high-end. Most telescopes today (even higher-end scopes) are still made to a price point, and are more akin to mass-produced consumer items rather than research-grade instruments where no expenses are spared. I find that's perfectly OK, because it enables many more people to own affordable amateur scopes which have more than adequate performance. Edited by db2005, 03 April 2018 - 08:49 AM. So in my own experience well-made classic optics can easily outperform at least some mass produced modern scopes. But can they outperform the best modern scopes? I doubt it... but one needs to consider that very few of the scopes marketed to amateurs today can be regarded as truly high-end. That was also the case 50 years ago only more so. The best scopes today are manufactured using better materials, better testing and manufacturing techniques. .
You 1981 Takahashi, it's been improved up by Takahashi and is one of the very few ED/apo scopes that was available in 1981.. Refractors in 1981 were nearly all achromats and on the average.. What one can buy today gets you more scope . Magnificent! The "Great Dorpat Refractor" was 9 inches. This qualifies as "The Great So Cal Refractor"